The first thing that comes to your mind when you see grilled burger patties is how have you never found out the secret formula that Mr. Krabs boasted about: his infamous ‘Krabby Patties.’ You wonder how delicious those patties could be and anyone who’s watched Spongebob is wondering the exact same thing. Although the recipe of the Krabby Patties is a secret, we at Grills Forever have some recipes of our own that could be close to the real thing, or at least gain Plankton’s attention. 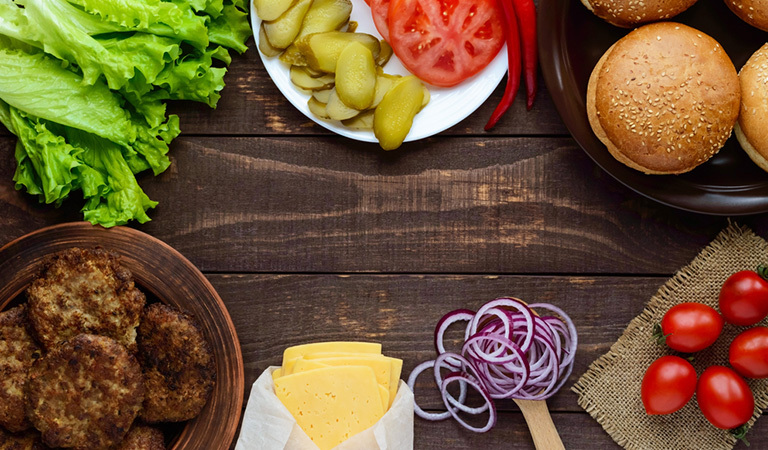 Whether you love beef or pork barbecue, or just enjoy grilling, these recipes will help you realize your grilling potential and making burger patty will be a piece of cake for you. 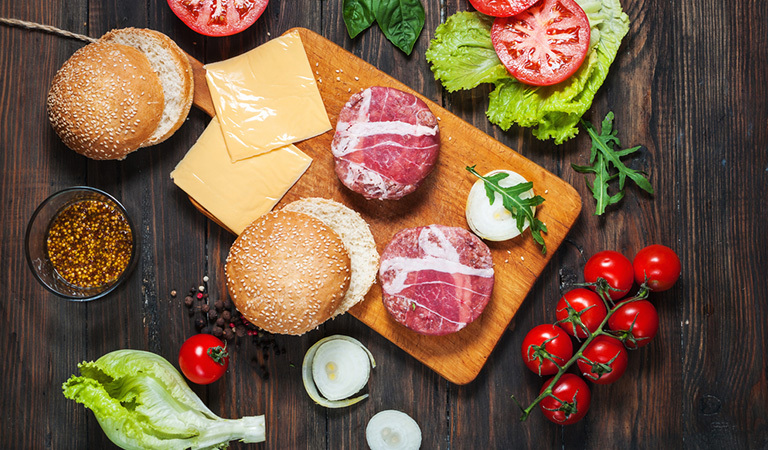 American cheese would give your burger the American feel, but honestly you can go on to use any type of cheese you want; for example, cheddar, swiss, blue, provolone, jack and what not. Fried, caramelized or sweet sliced onions; pick any onion of your choice. Build your burger with your personalized set of condiments, for example, mustard, ketchup, barbecue sauce, mayonnaise, guacamole, etc. Accessorize your burger with fried egg, bacon, mushrooms, peanut butter, raw herbs or avocado pieces. Loosely create the burger patties, around 6 ounces each using the freshly ground chuck, to make the burger juicy. Try to not overdo it as this would cause the patty to become tough. Also, make the patties larger because they could shrink while cooking. At the center of the patty make a small well with the thumb finger. Season the patties with kosher salt, pepper or any flavors of your choice. Grill the patties on high heat. You can use a gas grill, charcoal grill or indoor grilling pan for this. While the burgers are cooking, avoid using the spatula to press on the patties, as it would kick out important juices from the patties. Flip the patties only one time every 3 minutes but ensure to not flip too often. If there are flares, cover up the grill. This would cut oxygen supply and douse the fire. Before serving, let the patties rest for a few minutes, so that the juices can settle in the patties. Lightly spread butter on the cut side of a bun and grill for 60 seconds to 90 seconds, until it looks roasted. Repeat this for all the other buns. Top the patty with buns and accessories and assorted condiments. Not a ham fan? 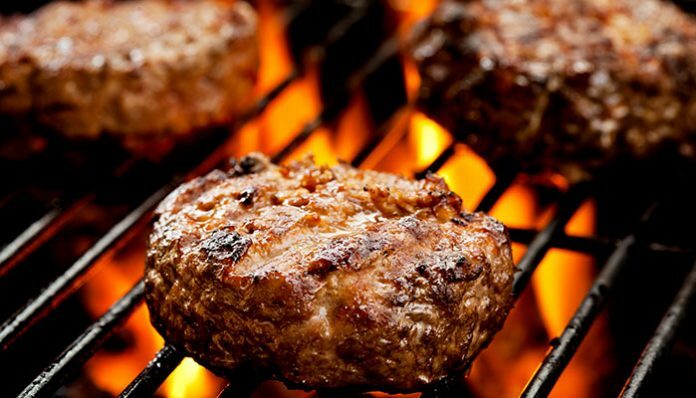 Try this grilled burger recipe of beef patties! 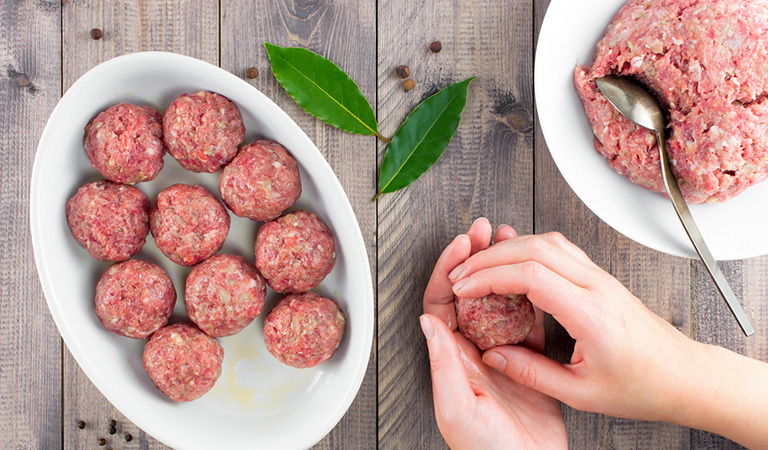 Use mince from a piece of meat which has not too high and not too low fat content. This will ensure flavor and also the patty from oozing out fatty liquid and becoming too tough. The breadcrumbs are added to make the patty tender and whisked egg is added to hold the patty shape together. Mix the minced beef, egg, bread crumbs, grated onion, garlic, Tabasco sauce and Worcestershire sauce together in a bowl and add salt and black pepper as seasoning. Divide this mixture into 6 equal patty portions. If shaping is difficult then try using a suitable measuring cup. Cover the patties with plastic wrap and refrigerate for 30 minutes. Take a non-stick fry pan and heat the olive oil with medium heat. Allow the patties to be cooked for approximately 4 min in this oil until the color turns brown. Once the patties are done cooking, set them aside. Preheat the grill on high mode and place the buns. Allow the buns to be grilled until toasty, for around 1 minute. Once the buns are done, now grill the patties. Place patties on a foil-covered tray and top the patties with cheddar cheese. The grill grate can be lightly oiled if you want. Allow the patties to be grilled for 5 minutes, on each side. Spread American mustard on the cut side of the buns. Now serve the burger with lettuce, tomatoes, patties and tomato sauce and your toasty buns! 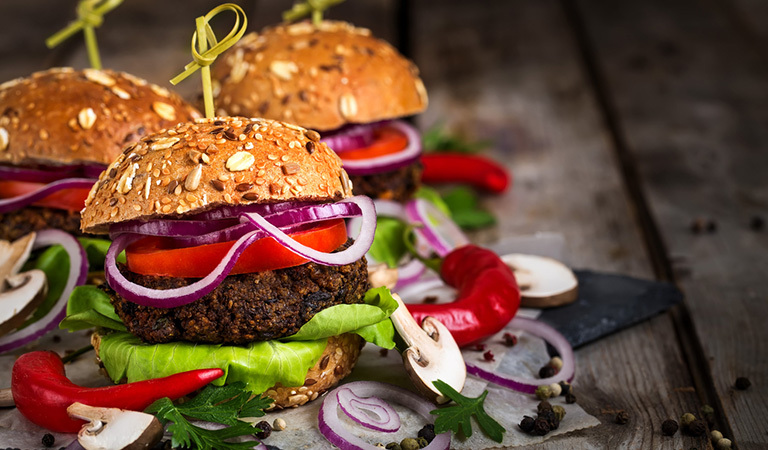 The Vegan’s Choice: Mushroom Bean Burger Recipe! 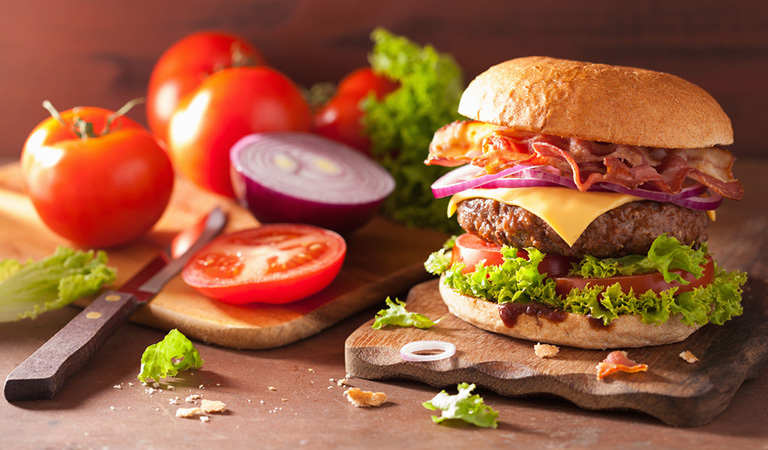 Even vegetarians want to have the delightful taste of a burger, but burgers are predominantly based on pork, chicken or beef meat. Luckily we found a special vegan, gluten-free recipe, that will hopefully spark delight for the inner vegetarian in you. Now that you have your ingredients, start on the cooking and grilling. Sautee the diced yellow/white onion and minced garlic in vegetable oil for up to 5 minutes, to allow the onions to become tender. Now add the diced green onions, cumin and mushrooms and cook for 5 minutes until the mushrooms are properly cooked. Once the mushrooms are done, separate out the mushrooms and onions. Use a fork to mash the beans. You can use a food processor if you want. Mix the mashed beans, onions and mushrooms along with parsley, pepper and salt. Use this mixture to shape the patties. Ensure that the patties are not too thin, or else, they would break off easily. Too thick patties take longer to grill. Try to make them around 1 inch thick. Preheat your grill at medium heat. You can oil the grill grate if you want. Grill the patties for around 4 minutes. Ensure to grill each side until properly done. You can grill the hamburger buns for about a minute until it turns brownish. Serve the buns with the patties inside and season with mustard. You can add lettuce and tomatoes inside for a leafier look. Often when we head to restaurants we cannot deny the temptation to feast on grilled burger patties, but we also do not realize just how easy the process of making one is. 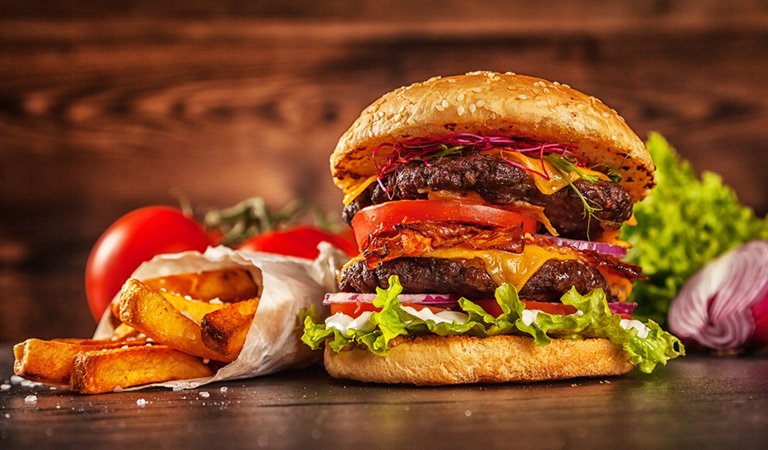 Burgers made in restaurants follow less hygienic procedures and have little nutritional value. Instead of paying for these burgers, it is much better to try and create grilled burger recipes in a home environment. Not only this would be a fun experience, it would also be a great idea for home barbecue parties, movie nights and outdoor pool parties. 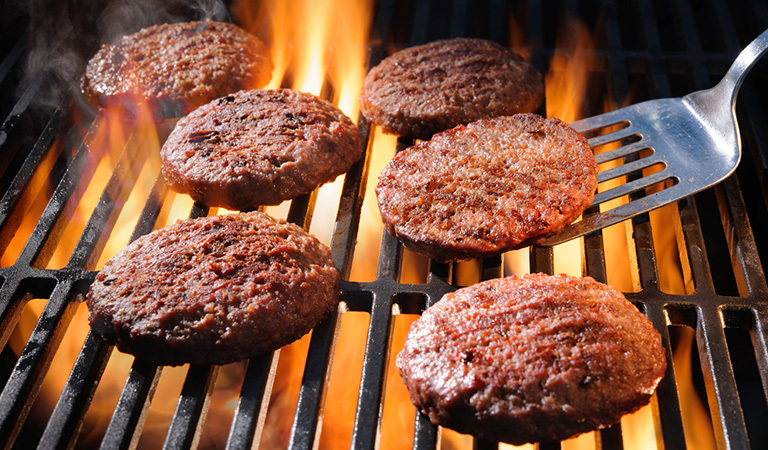 So the next time you go on to binge watch Netflix, think of that impressive burger you will grill before starting. How to Smoke Trout in 9 Simple Steps?